Cambridge South present an open event showcasing all sorts of sports for disabled youngsters 5 - 18 years old - the first of its kind in the Cambridge City area. 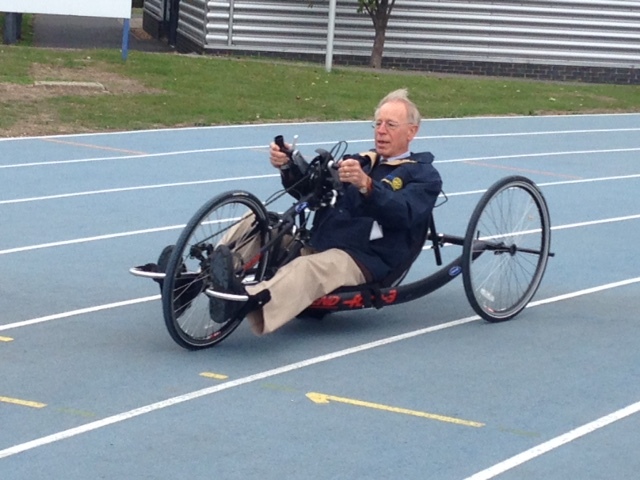 Working closely with WheelPower and Council Sports Teams. 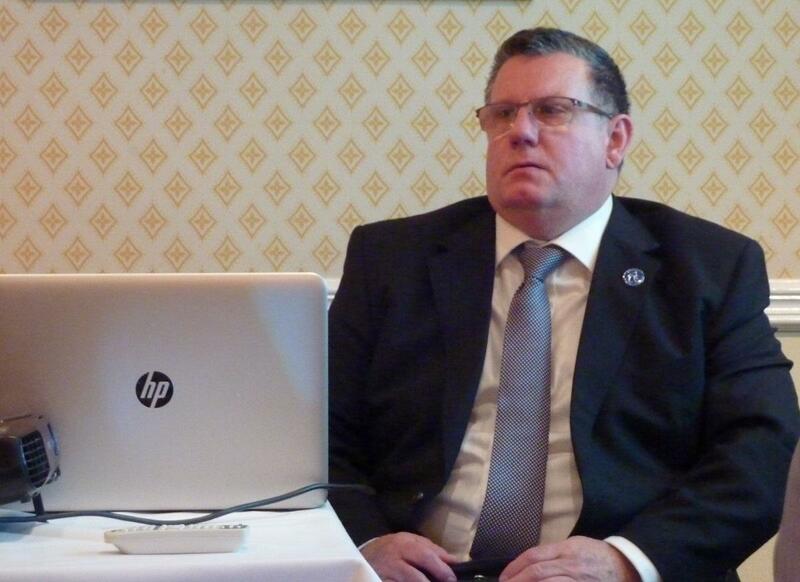 Co-ordinator Rtn David Ellis. We are seeking Candidates to play on the Day - Book asap.. If you know of any young person who might be interested in this FREE event then email David - see below. (80 spaces available). Date to be confirmed - WheelPower renegotiating the scope of the day. We plan to make this an annual event - Come and enjoy the first such event in the Cambridge City area. It is a great opportunity to network with other youngsters and adults alike. 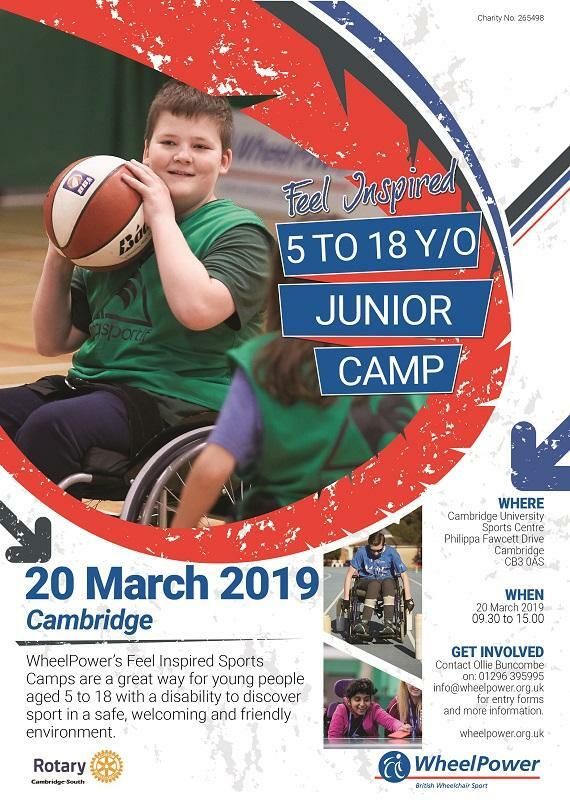 Planning is going well for our first Open Sports Day in 2019 - we are working closely with Wheelpower, based at Stoke Mandeville - at the lovely new Cambridge University Sports Centre. Always wanted to try - Fencing, Slalom, Boccia, Basketball, Curling, Tabletennis, Cricket, Laser Shooting ?? On the day teachers, carers and students will converge on the Sports Hall for a day of exciting and fully inclusive sports. 8 or 9 types will be on offer - 45min sessions will be interspersed with refreshments and change over of equipment. The Wheelpower Team arrive in vans full of sports wheelchairs, sports equipment and with experienced and supportive coaches. Briefed volunteers will also be on hand to ensure the day goes smoothly. Lunches will be provided. Arrive in good time to get your colour coded badge and orientation in the space. The Wheelpower organisation will also maintain contact afterwards to help and encourage further involvement in a student's chosen sport(s). The Cambridge South Rotary Club have been fundraising for 2 years to ensure this event is FREE on the day for everyone involved. (£3,000 + so far). 2019 celebrates 100 years since the first ParaOlympic Games at Stoke Mandeville !! 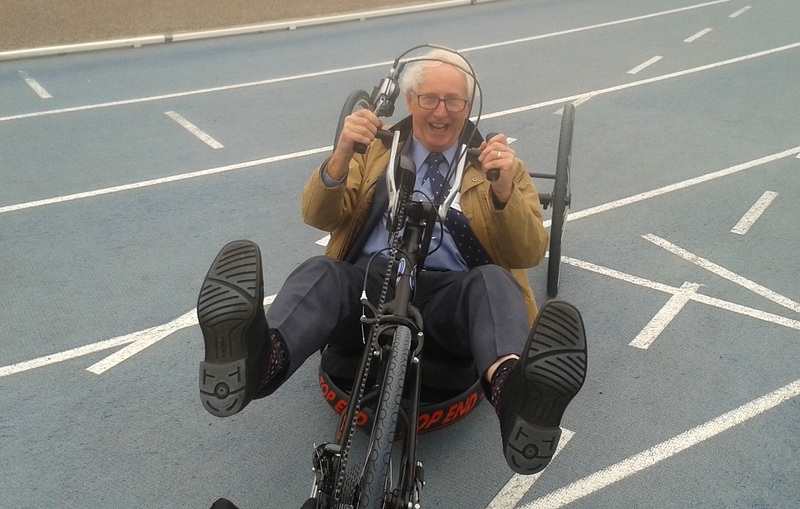 Rtns Trevor, Mike and James went to the Stoke Mandeville HQ to get an idea of what is involved 4 Oct 2018 - and saw the National Junior Sports Games and had fun trying out some of the adapted equipment.